FAYETTEVILLE, Ark. 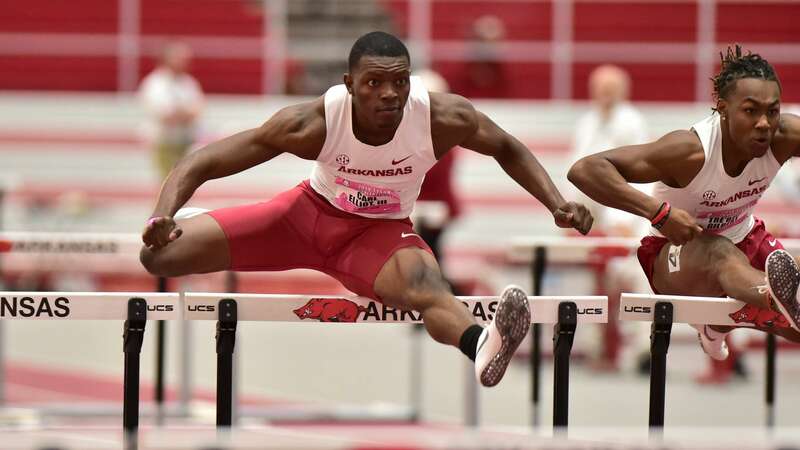 – The best meets in the country happen in the Track Capital of the World, and day one of the Tyson Invitational was nothing short of greatness as the Razorbacks went to work at Randal Tyson Indoor Track and Dempsy Indoor in Seattle, Wash. Friday night. “Today was a great meet with great competition across the board,” said assistant coach Doug Case. “Obviously the sprints were incredible. I think overall if you look at our team, our hurdlers ran really well, in particular, Carl Elliot III ran a PR of 7.81 which is a good run. the 400-meter guys ran very well. They ran into some traffic in some of those races with a little bump and go going on, but overall where we’ve trained and the way we’ve prepared we’re ready to run really fast. we’re obviously shooting for SEC that weekend. The 800-meter group ran well as a whole today, Kieran Taylor ran a PR of 1:49.46. As a whole, I think we’ve made some progression in the right direction, we’re getting better and better every week with the goal being the SEC meet here in two and weeks and then the NCAA meet two weeks after that,” Case finished. In the 60-meter hurdles, Elliot III was the top Razorback on the day finishing fourth in the final with his aforementioned PR of 7.81. Tre’Bien Gilbert finished 14th overall running 7.94 in the prelims. Josh Oglesby and Kris Hari advanced to the semifinal of the 60-meter flat, finishing with identical times of 6.82 for 17th and 18th, respectively. Jalen Brown and Hunter Woodhall set new personal-best in the 400-meters running 46.70 and 47.07, respectively, for fifth and seventh-place finishes. Kieran Taylor led the way for a Razorback sweep in the 800-meters running a personal-best of 1:49.65, followed by Chase Pareti (1:50.93) and Kevin Wilkinson (1:51.38) in second and third-place. Erich Sullins streak of wins came to an end Friday night in the men’s weight throw despite Sullins turning in a third-place finish with a best of 21.05m (69-0.75) that is just short of his season-best and school record mark from earlier this season. In Seattle, head coach Chris Bucknam and crew got a lot done at the Husky Classic as Ethan Moehn posted a top-20 finish in the mile at 4:04.49 followed by Colin O’Mara at 4:08.07. Cameron Griffith finished seventh in the 3,000-meters (7:52.79) in a season-best time that fell just a few seconds short of his lifetime-best in the event. Griffith was joined by Matt Young who finished 20th in 8:04.30 – a personal-best. 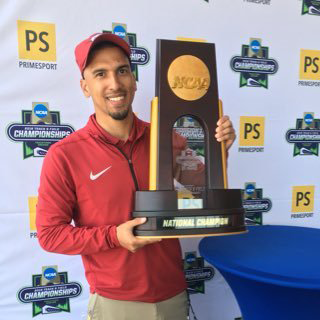 Gilbert Boit was the top Razorback in the 5,000-meters with his mark of 13:42.95 that is a personal-best. Arkansas will return to Randal Tyson for day two of the Tyson Invitational tomorrow morning at 10:30 a.m.